Ice cream makes the world go round, or at least that's what I believe in. 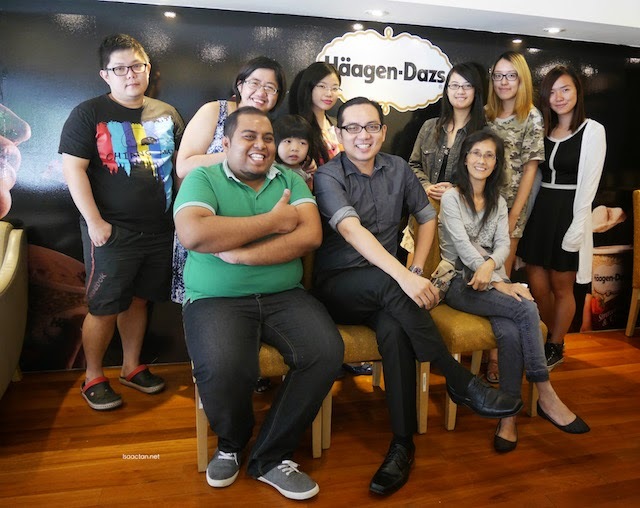 Always a fan of Haagen Dazs ice creams, I was elated at the opportunity to try out their latest addition to the House Of Haagen Dazs' menu. Along with a bunch of foodies and friends, we crashed in at the Solaris branch for a morning of indulgence. 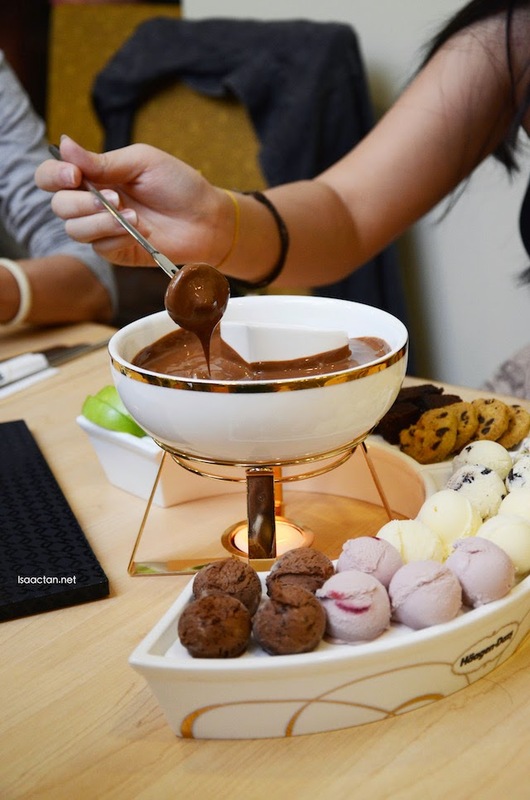 The House of Häagen-Dazs presents tantalising handcrafted treats to tempt the senses with its new menu. Featuring iconic signature dishes, classic favourites as well as refreshing ice-cream drinks, the new menu allows fans of the brand to come and experience a truly captivating dine-in affair that can be indulged in and shared by all. 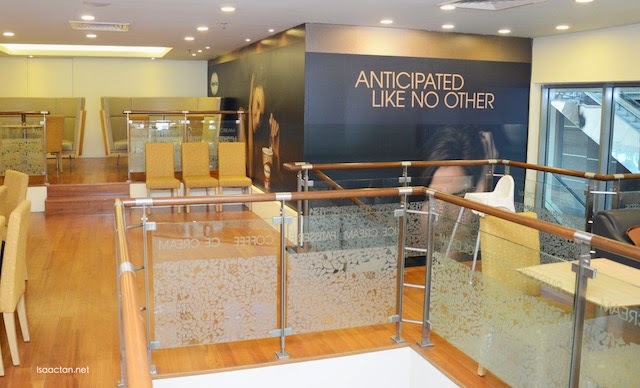 On top of the usual ice-creams, over at Haagen Dazs' outlet, we got to try out their yummy floats and frappes that burst with the flavours of Häagen-Dazs’ best selling ice creams. 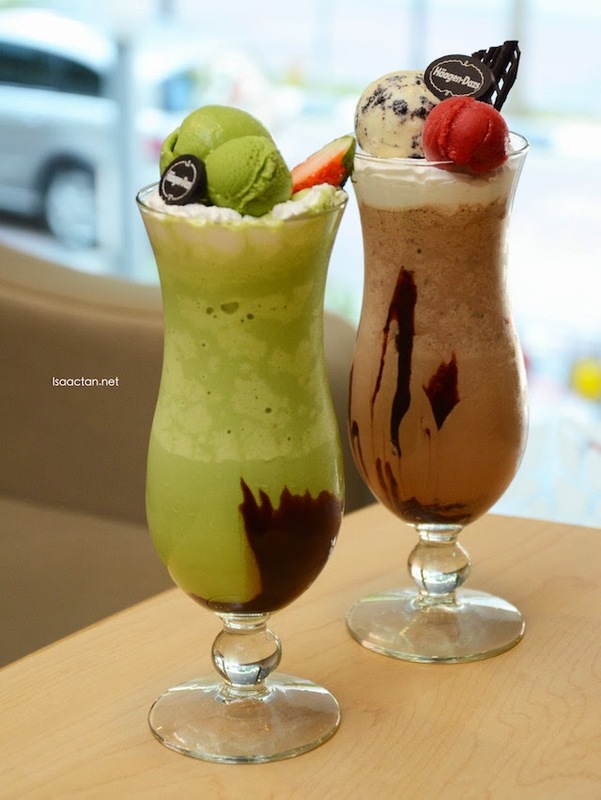 Shown above is the two we tried that morning, the Belgian Chocolate and Matcha Chocolate Frappe. 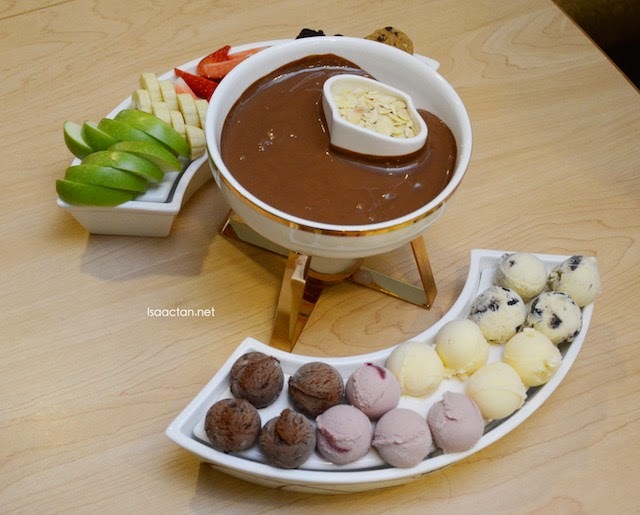 A must-order if you want to have total indulgence in Haagen Dazs would be the Haagen Dazs Fondue. A dessert not to be missed for serious ice cream lovers, this heavenly Häagen-Dazs Fondue from one of the Signature Collection has a myriad of textures and flavors from the assortment of mini ice-cream scoops (Cookies & Vanilla Cream, Belgian Chocolate, Strawberry and Vanilla & Cream), seasonal fruits and patisseries. Perfect for sharing with friends and loved ones, you can dip these wonderful ingredients into the warm-heated chocolate sauce (with a choice of rich dark or milk chocolate) and crunchy almond nibs to create that mouth-watering blend of taste sensations. I could have these the whole day, all day. 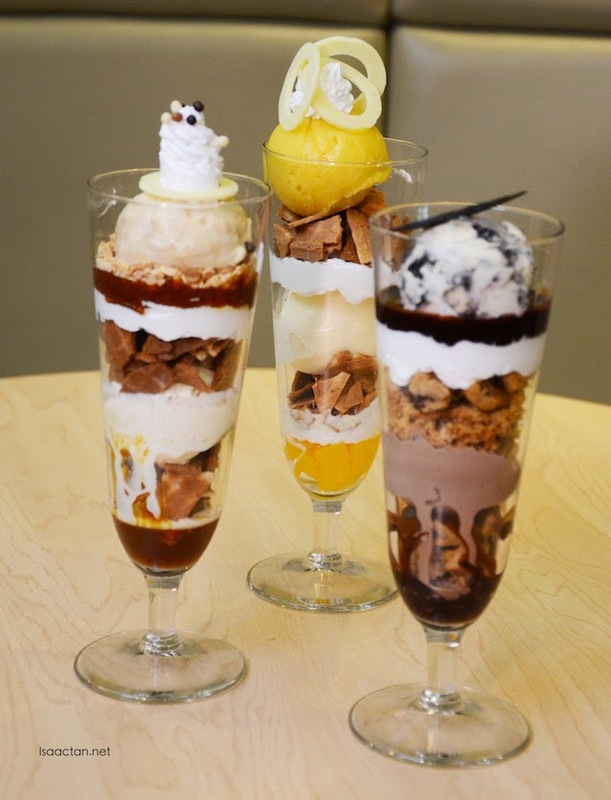 With four sections of dessert and drink creations in the new menu, fans can select from a variety of delicious options to satiate their sweet tooth. 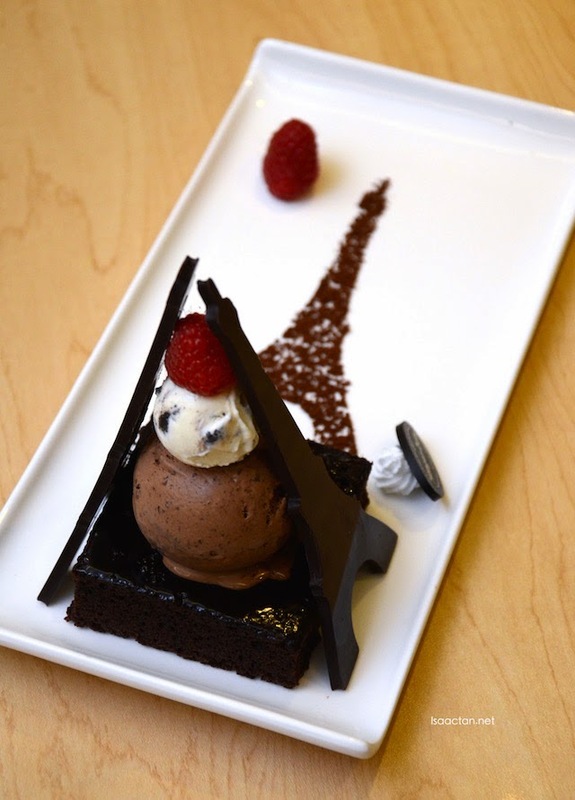 A delight to tempt your senses, embrace the luxury and romance from Paris, the town of love, with a delicious brownie topped with the finest Belgian Chocolate and Cookies & Vanilla Cream ice cream, and artistically finished off with dark chocolate Eiffel Tower decoration pieces. These creations, bestsellers originating from different parts of the world, are lovingly handcrafted and will delight any ice-cream lover. Always a fan of banana, I do like ice-cream with banana thrown into the mix. 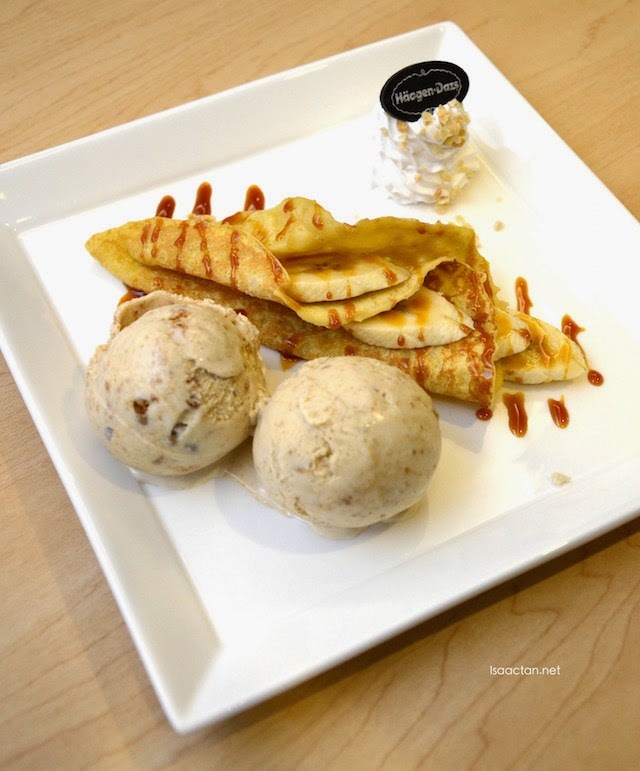 Here at Haagen Dazs, we have these delicate warm Banana Caramel crepe and slices of fresh banana paired with two grande scoops of the all-time favourite Caramel Biscuits & Cream ice cream. Sweet caramel sauce is drizzled all over the crepe to enhance its overall flavor before being served. I do like the almond bites at the side. 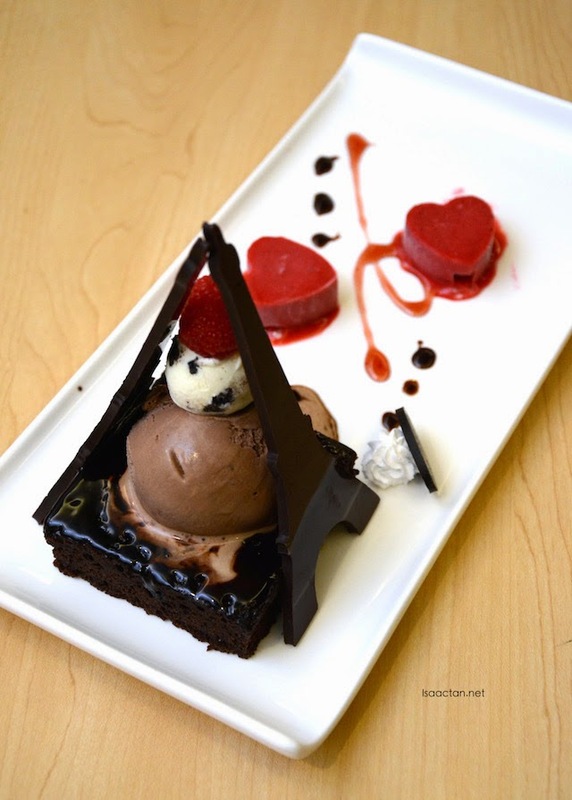 Fans can try their hand at creating their own dessert as the menu also features a Create Your Own section. 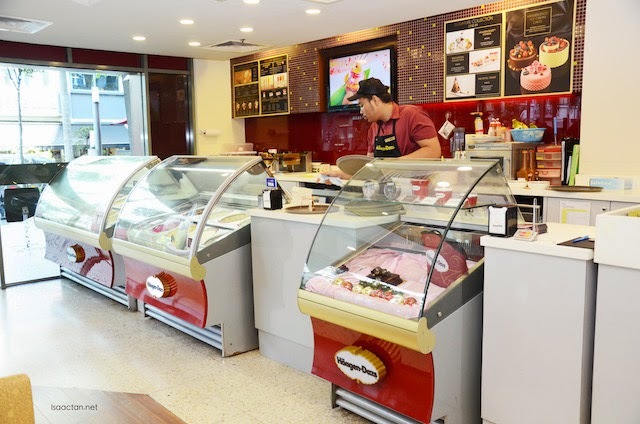 With almost 20 flavours to choose from, fans can let their creative side loose and select their preferred number of scoops, toppings, sauces and patisseries to complete their creation. 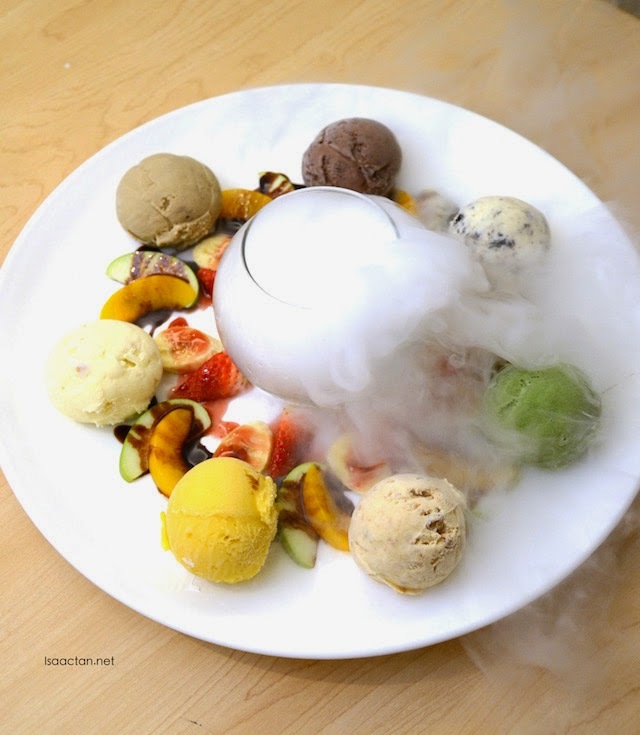 The Seventh Heaven which was served with dry ice in the middle, is made up of various ice cream flavours of our choice, served with orchard fruits, drizzled with chocolate sauce. Yummy, and ideal to share with your loved ones. Layered with different ingredients to create that tempting sensation and further satiate your sweet tooth, Häagen-Dazs presents the divine Crunch series with 3 varieties for you to choose from. Salted Caramel Crunch, with one scoop of Vanilla & Cream and one scoop of Salted Caramel ice cream sandwiched in between the crunchy wafer cone, caramel sauce, almond nibs and whipped cream. Mango and Vanilla & Cream Crunch, with one scoop of Vanilla & Cream ice cream and one scoop of Mango Sorbet matched with sweet peaches, wafer cone and whipped cream. Chocolate Crunch, with one scoop of Cookies & Vanilla Cream and one of Belgian Chocolate ice cream layered with cookie pieces, chocolate sauce and whipped cream. Crafted in 1960 by Reuben Mattus, Häagen-Dazs is the original super premium ice-cream. True to tradition, Häagen-Dazs is committed to using only all-natural ingredients in crafting the world’s finest ice cream. 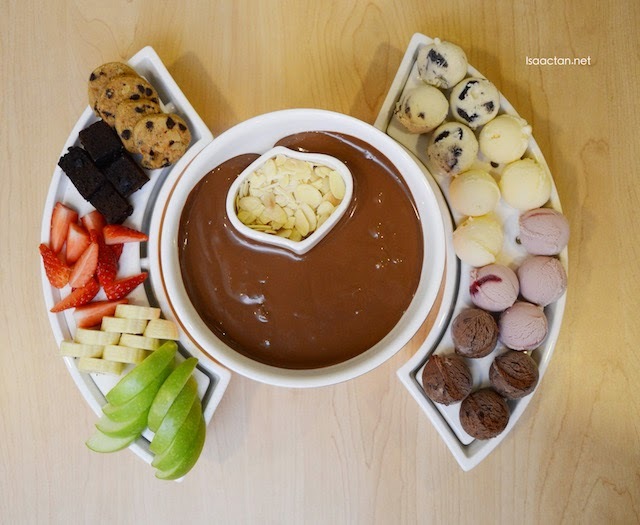 Truly made like no other, today, Häagen-Dazs ice-cream offers a full range of products from ice-cream to sorbets, in more than 65 flavors. 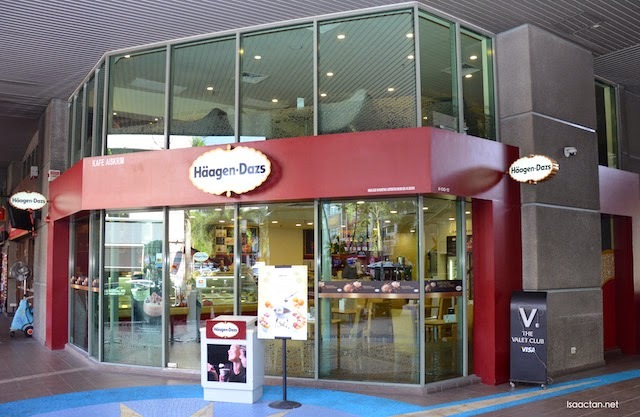 Häagen-Dazs products are available around the globe for ice cream lovers to enjoy. Pulau Tikus | Queensbay Mall | Autocity. OMG... so.. so... haisshh mengoda.